what does the overtake button do? The RLX appears...with upgraded tires...and blows this car outta the stratosphere. 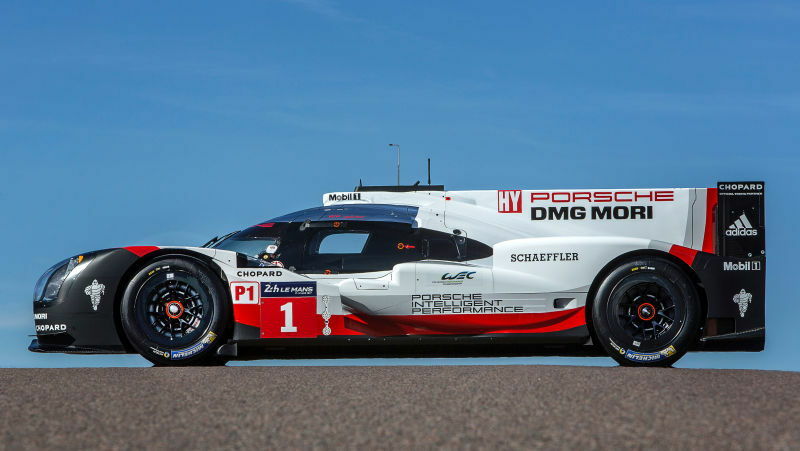 Ready for title defence: Two days before the official Prologue for the FIA World Endurance Championship (WEC) at Paul Ricard, France, Porsche is presenting its race car for this season. 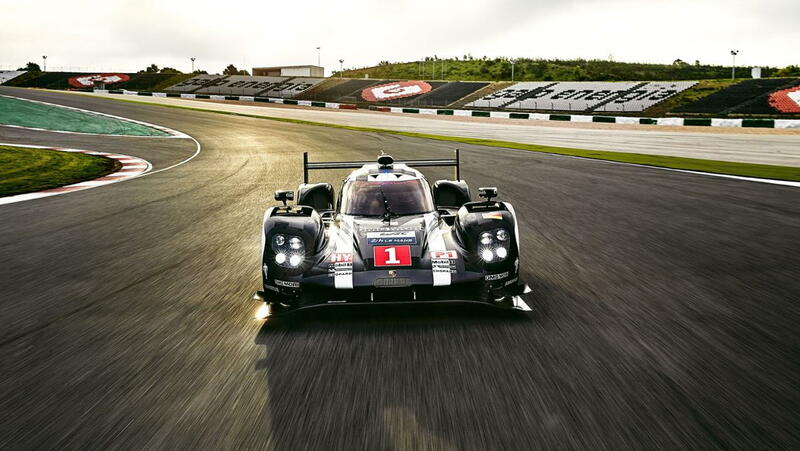 Strong development characterises the new 919 Hybrid’ technology. The powertrain became even more efficient, the aerodynamics were even more specific for the various race tracks and the weight of single components was even more reduced. 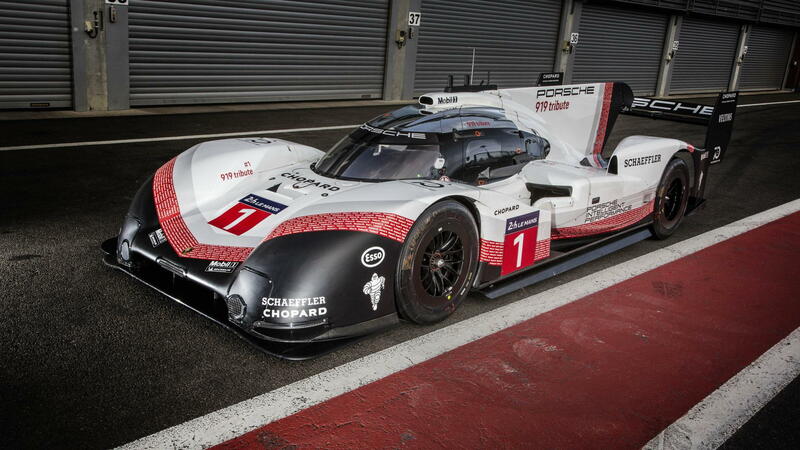 “The over 900 hp strong Le Mans Prototype is ready for the title defence,” said Fritz Enzinger, Vice President LMP1. 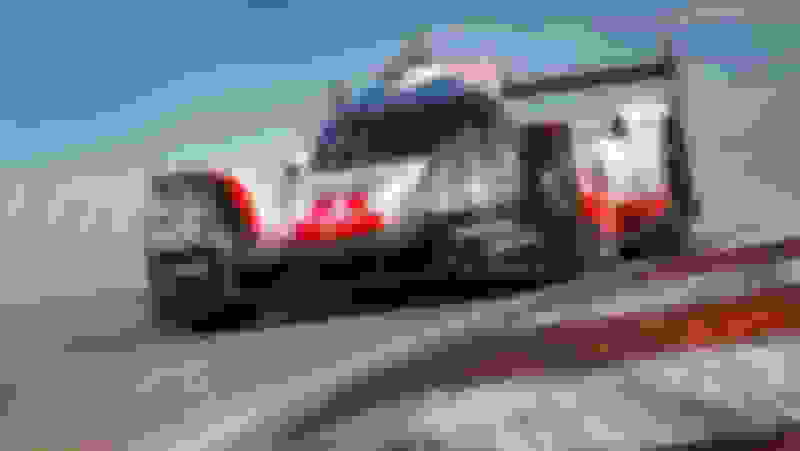 For the first time Porsche fully exploits the WEC regulations by deploying three different aerodynamic packages to make the car best suit to the respective race tracks. Three aerodynamic specifications are the maximum allowed. The weight of the four-cylinder turbo engine, as well as its fuel consumption, could be further reduced. The two energy recovery systems of the hybrid drive have been improved in terms of efficiency. For the 2016 Porsche 919, the basis of the chassis structure remains unchanged, as does the hybrid drive concept with its two-litre V4 turbocharged petrol engine and the two different energy recovery systems (braking energy from the front axle and exhaust energy). 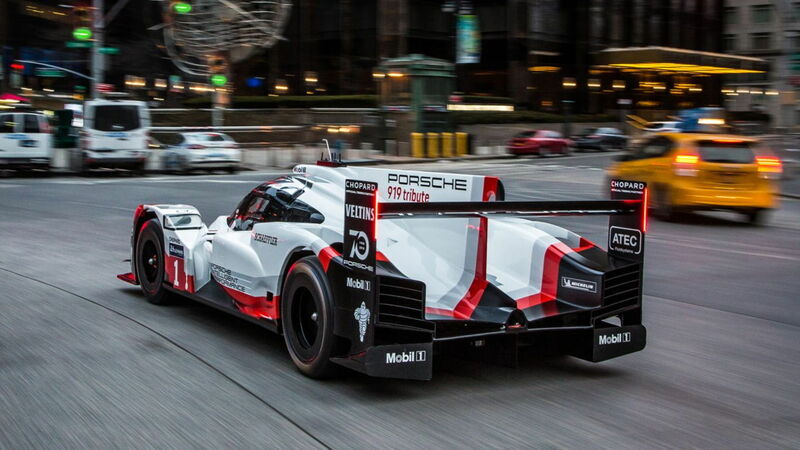 Right from the start, for the 2014 season, Porsche had this courageous and spot on concept in place. But the first car showed exceptional potential, especially in terms of weight, and is why a new car for 2015 was built. For 2016, there is less need to change and Porsche is benefitting now from stability for the concept. The regulations for the LMP1 category require manufacturers to use hybrid drive systems and establish a direct link between performance and energy efficiency. 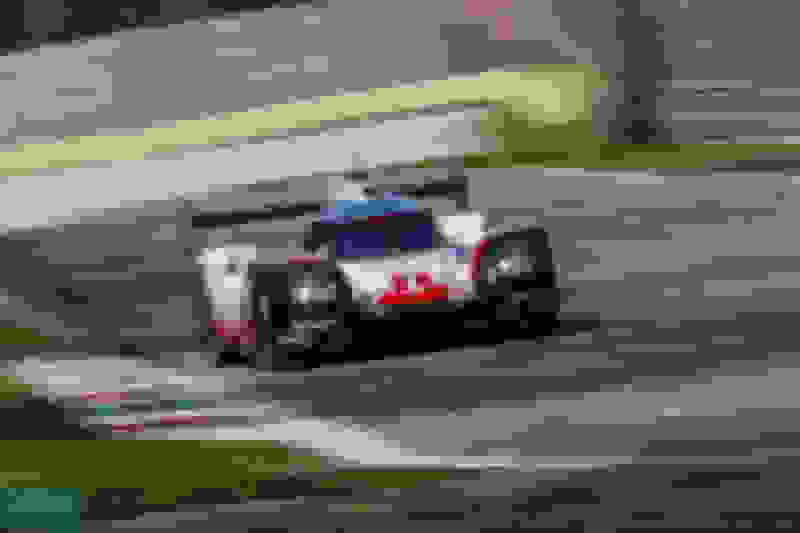 This means that a large amount of energy from recovery systems may be used, but entails a proportional reduction in the permitted amount of fuel per lap. 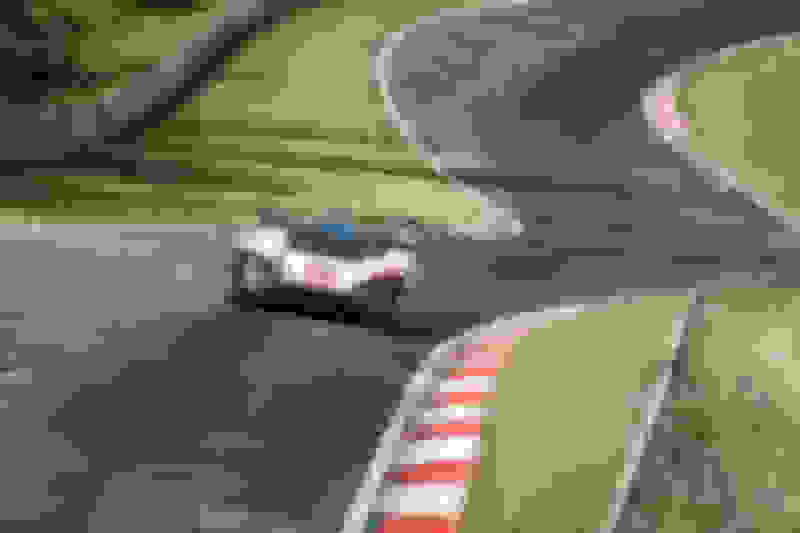 The quantity of fuel consumed in each lap is counted. The WEC allows engineers a great degree of freedom in terms of the hybrid drive concepts. 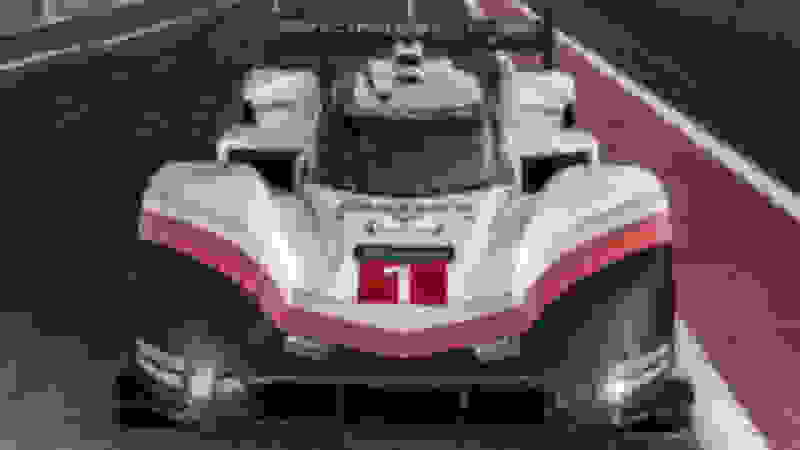 The teams can choose between diesel and petrol engines, naturally aspirated or turbocharged engines, various displacements, and one or two energy recovery systems. 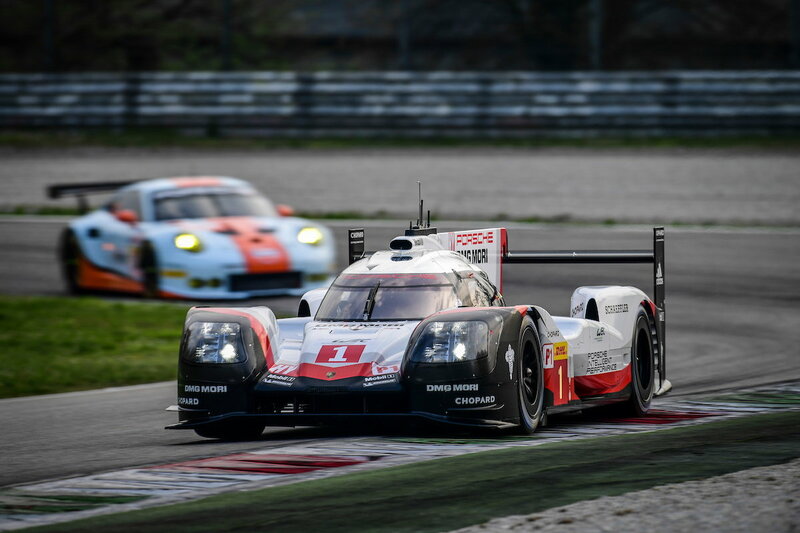 This formula puts the focus on innovations with high relevance for future production sports cars – and this was the main reason why Porsche decided to return to the world of top level motor racing. The combustion efficiency and mixture preparation of the 2-litre V4 turbocharged petrol engine, driving the rear axle, was further increased in close work with the engineers from production development in Weissach. Also the 90-degree V-engine shed some more weight. Last season, the output of the combustion engine was well above 500 hp. 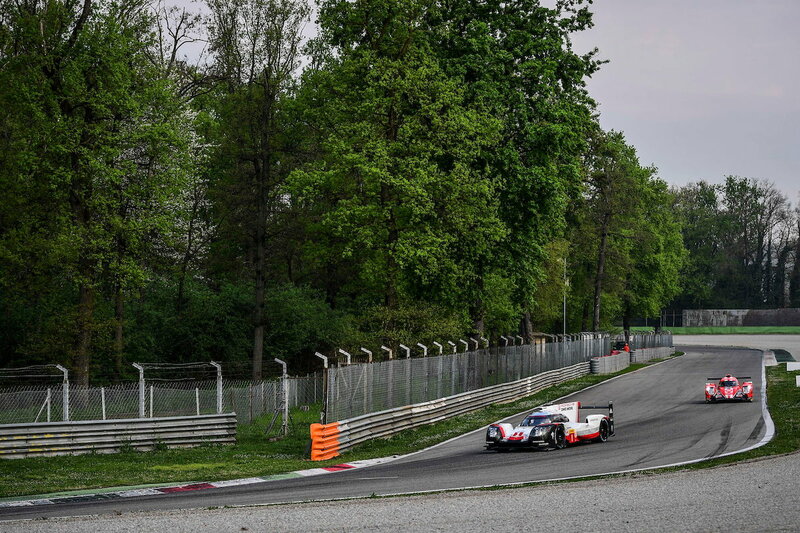 But the 2016 regulations stipulate a lower amount of energy from fuel per lap and reduce the maximum fuel flow for prototypes. 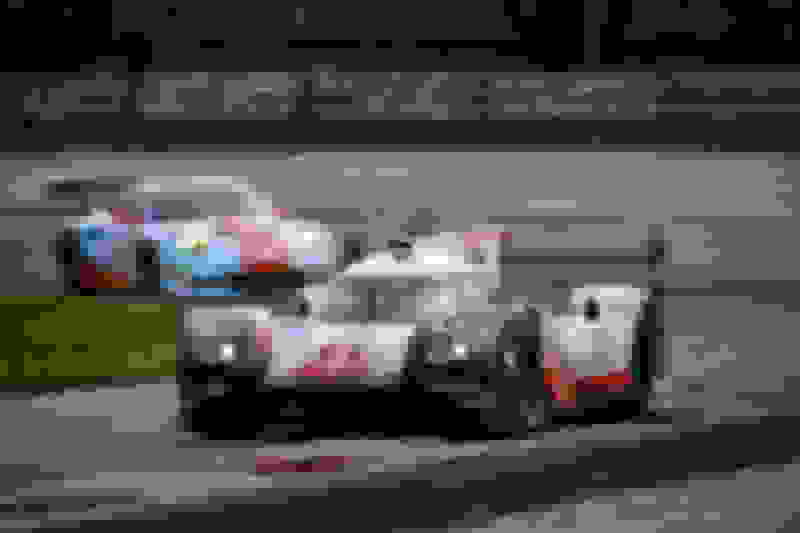 In this way, the regulations prevent the LMP1 cars from becoming increasingly faster, yet at the same time fuel the engineers’ efforts to generate more power from increasingly less fuel. 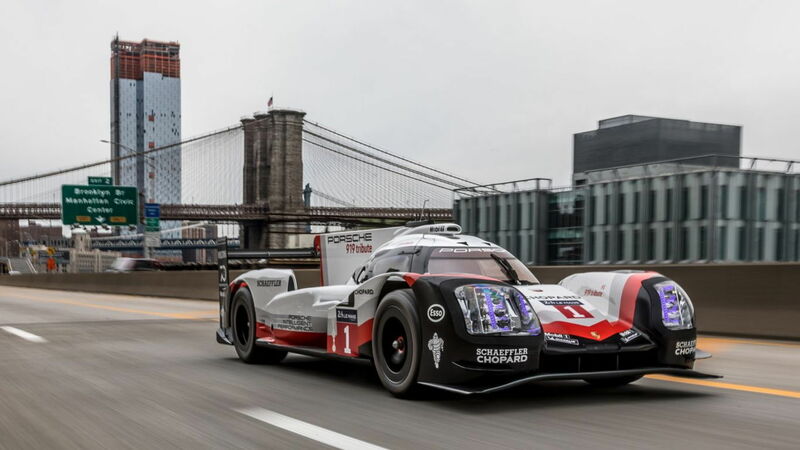 For the 919, this means around eight per cent less fuel and power. In other words: ten megajoules less energy per Le Mans lap from the fuel. That costs about four seconds for every 13.629-kilometre Le Mans lap. Through the new restrictions, the combustion engine has dropped to below 500 hp. 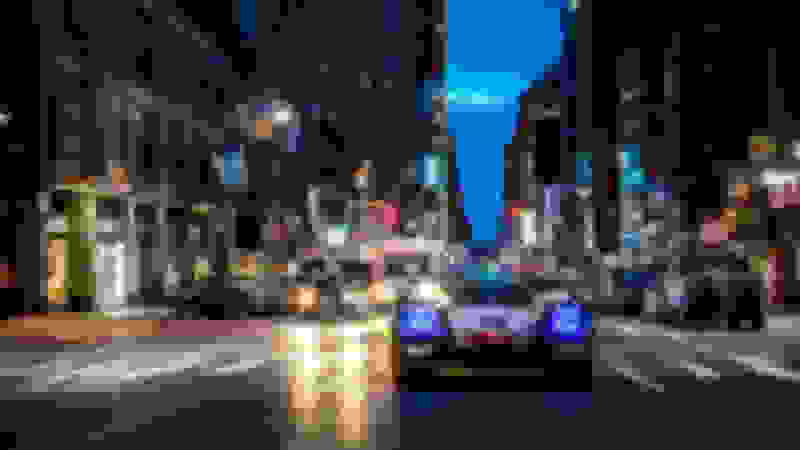 The kinetic energy produced at the front axle when braking is converted into electrical energy. The second recuperation system is installed in the exhaust tract, where the exhaust-gas stream drives a second turbine in parallel with the turbocharger. It uses excess energy from the exhaust pressure that would otherwise escape into the environment. The VTG technology used here – that is, the variable adaptation of the turbine geometry to the level of exhaust pressure – drives the turbines, even at low engine revs and low pressure. The additional turbine is connected to an electric generator. The electricity produced – along with that generated by the KERS at the front axle – is temporarily stored in lithium-ion battery cells. When the driver calls up the full-boost, additional power output of more than 400 hp will thrust him back into his seat. 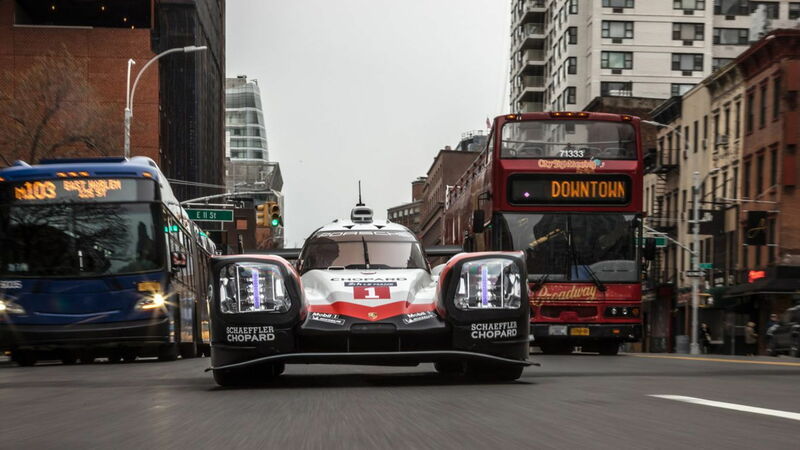 This power is applied to the front axle by the electric motor, and it temporarily transforms the 919 into an all-wheel drive car with system power of around 900 hp. For each circuit, the team works on developing the strategies for when and to what extent energy is recuperated and called up. 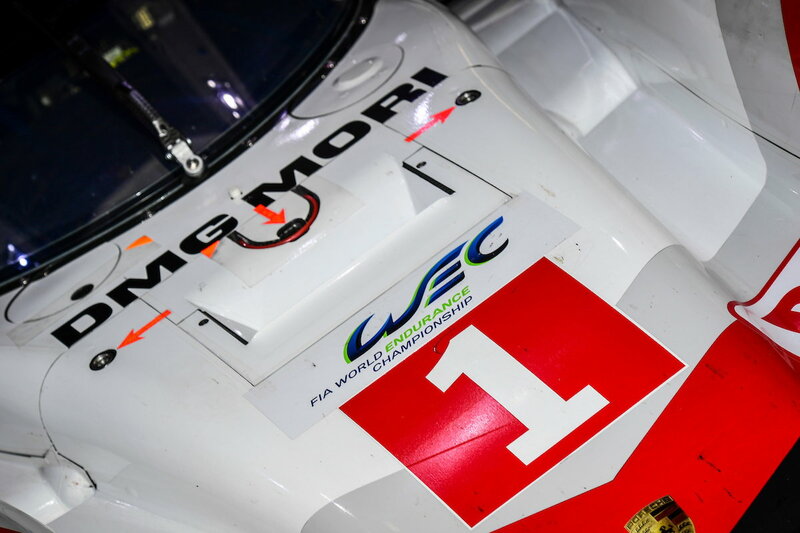 The WEC regulations allow engineers plenty of scope with regard to the energy storage medium: Initially, the competition used flywheels and ultracaps (electrochemical supercapacitors). 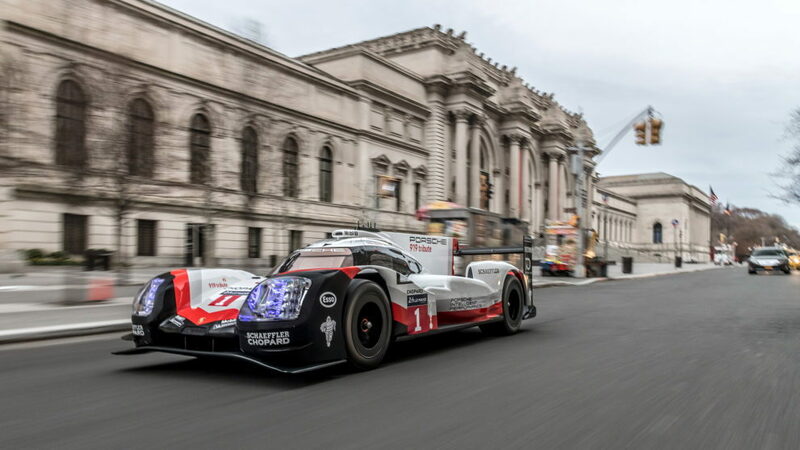 For 2016, they are all following Porsche’s lead of lithium-ion batteries. 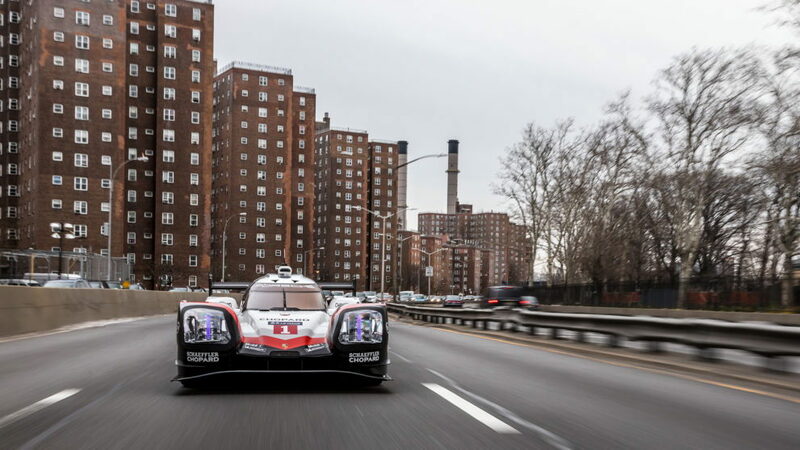 Another important fundamental decision with the 919 Hybrid was the high voltage of 800-Volt – a technology that series developers are adopting in the Mission E concept car. The regulations distinguish between four levels ranging from two to eight megajoules (MJ) of deployable energy. The calculation is based on the 13.629-kilometre lap in Le Mans, and is adjusted for the other eight racing circuits. 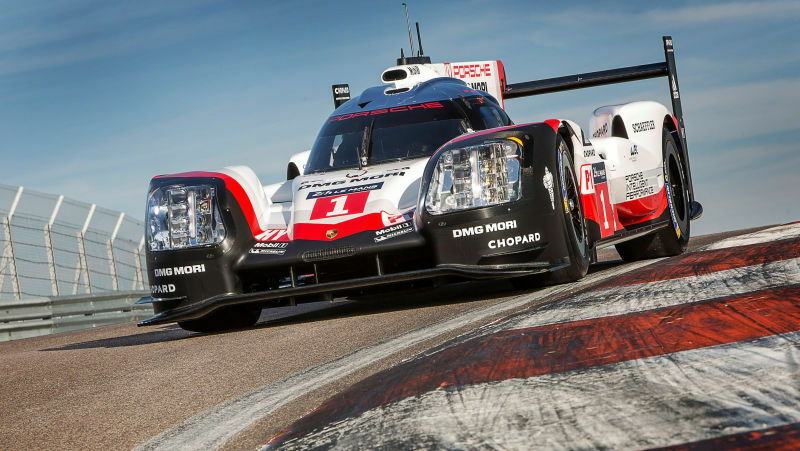 The high level of efficiency of the combustion engine, the recovery systems and the energy storage enabled Porsche in 2015 to become the first and only manufacturer to choose the 8 MJ class. In this highest recuperation category, an FIA flowmeter device will limit the permitted amount of fuel per lap to 4.31 litres. Engineers also have to take into account the fact that the more powerful the energy recovery and storage systems are, the bigger and heavier they tend to be. Like in Formula 1, the Porsche 919 Hybrid monocoque is a carbon-fibre sandwich construction that is manufactured as a single unit. The monocoque, combustion engine and transmission as one unit ensure optimal rigidity. While the V4 engine fulfils a load-bearing function within the chassis, the hydraulically operated sequential 7-speed racing gearbox made of aluminium is mounted in a carbon structure. For 2016, the gearbox and gearbox mounting remain structurally identical. The focus for development on the gearbox was on weight reduction. 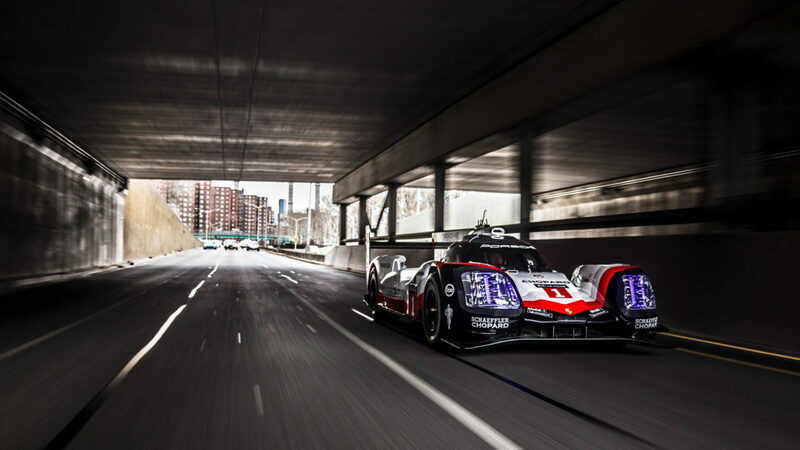 For even better driving dynamics, balance, traction, grip and set-up options, the Porsche 919 Hybrid received a new front axle and an optimised rear axle for 2016. After intense testing in February, an increase in performance on the part of the Michelin tyres is expected. Porsche took a three-pronged approach to aerodynamic improvements for the first time in 2016. Until now, Porsche settled on a compromise for the season-opening round of the World Championship and campaigned the 919 with lower downforce than would have been ideal for the Silverstone circuit. This compromise was for the sake of the season highlight at Le Mans. The French racetrack with its long straights requires very low drag, which means downforce must be limited to what is absolutely necessary. 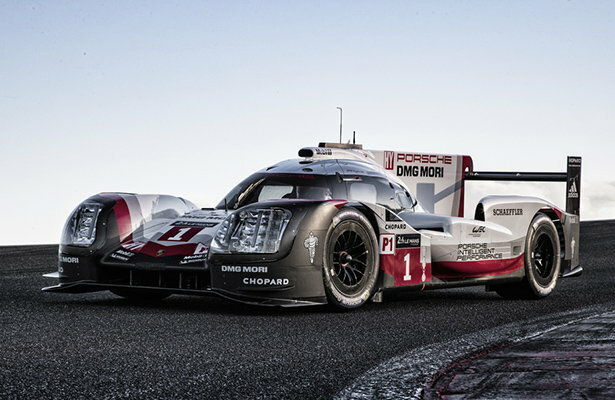 In 2016 the 919 will start the season running a high downforce package. It will be tackling Le Mans with an extremely low downforce configuration and will have another high downforce package for the following six WEC races. The regulations prohibit more than three aerodynamic configurations per year. The changes to the aerodynamics were driven by further improvements in efficiency and more stable handling in different driving situations. Influences such as side winds, changes in balance under cornering as well as yaw and roll angles were further reduced. 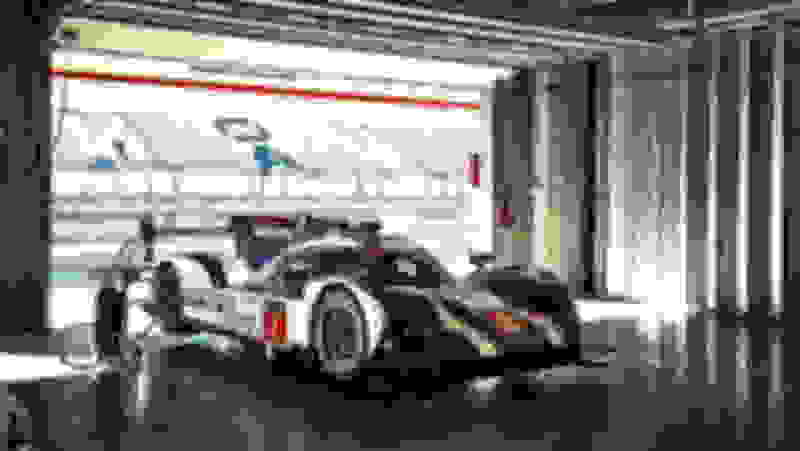 "... the updated German LMP1 challenger is an evolutionary step from last year’s car, having retained the same 2.0-liter V4 engine and battery-based hybrid systems.However, optimizations have been made in nearly all areas, including the two energy recovery systems, a KERS-style unit mounted on the front axle and exhaust recovery system on the rear, which both feed an updated lithium-ion battery.The biggest change has been made in the aerodynamics, with the FIA and ACO’s new safety-related changes aimed to reduce cornering speeds and, as a result, aero efficiency and downforce. 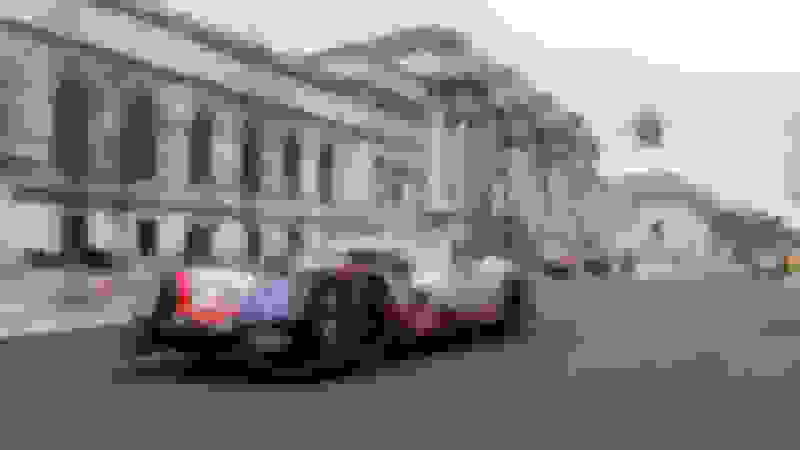 It’s resulted in a significantly different look at the nose and sidepods.According to team principal Andreas Seidl, who also remains as the technical director, 60-70 percent of the car is newly developed." The color scheme is too close to the Audis. Lookit the size of those headlamps though! Will it matter since Audi isn't competing? Gorgeous. But Yumcha is right, the headlamps are too big. They need to rethink the design. Last edited by nanxun; 04-01-2017 at 01:56 PM. I mean, this is not even just some arbitrary F1 car's lap time at Spa - it's the RECORD TIME set by Lewis Hamilton in his F1 car at the track!!! 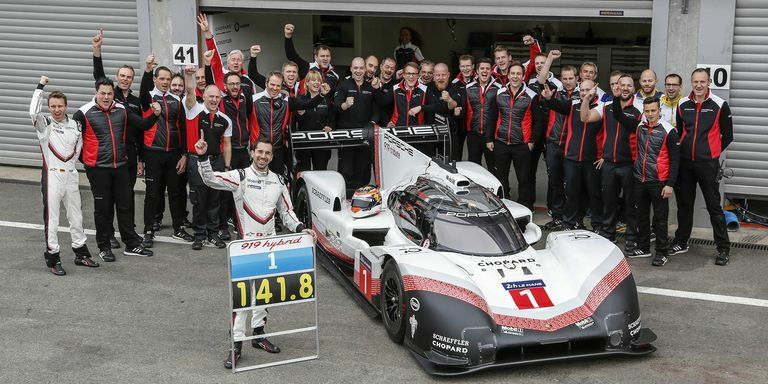 And it was broken by Porsche's factory driver Neel Jani. holy hell. I never really thought we would see a day where a closed cockpit racer would be faster than F1. I always thought F1 was top of the tops. WRONG! 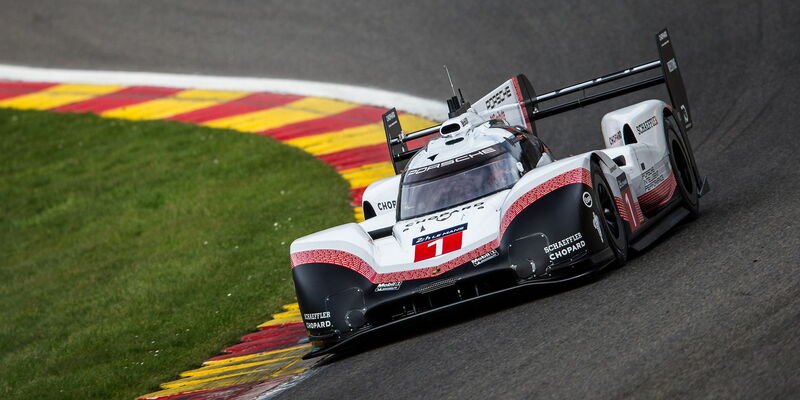 Running a 1:41.770 around the Belgian circuit, Porsche's prototype beat Lewis Hamilton's record by 0.783 seconds. To send off its three-time Le Mans-winning LMP1 car, Porsche has built the 919 Hybrid Evo, a high-downforce machine designed to break lap records. And it's already broken its first. 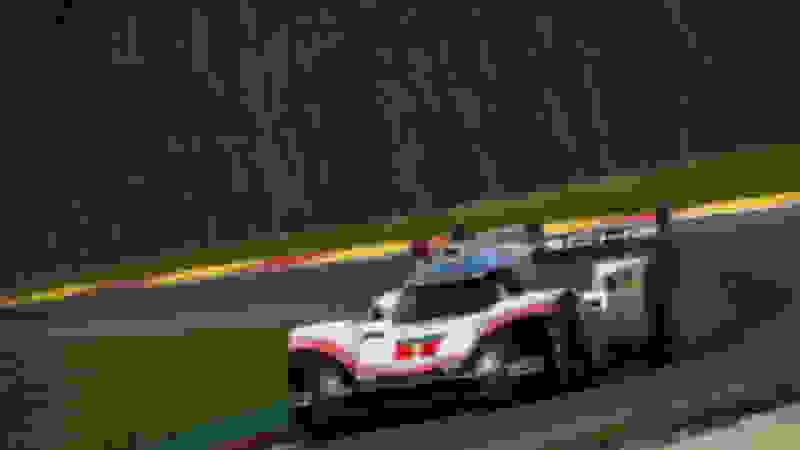 With factory driver Neel Jani at the wheel, the 919 Evo ran a 1:41.7 around Spa Francorchamps this morning, breaking Lewis Hamilton's pole-setting 1:42.553 lap record from last year. 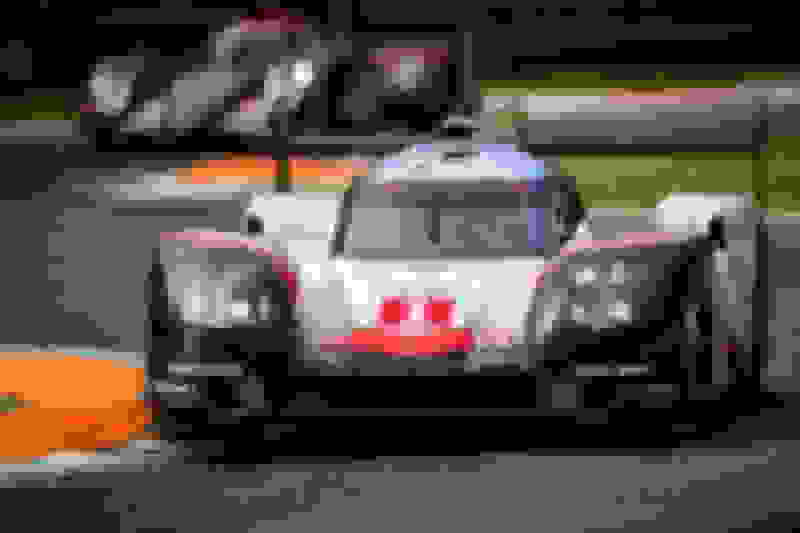 The 919 Evo started off as the car that won Le Mans last year, but it's been freed from the technical regulations of the World Endurance Championship in which it competed. Its turbocharged V4 gas engine now makes 720 hp, up from 500 before, and its electric boost has been upped from 400 hp to 440. 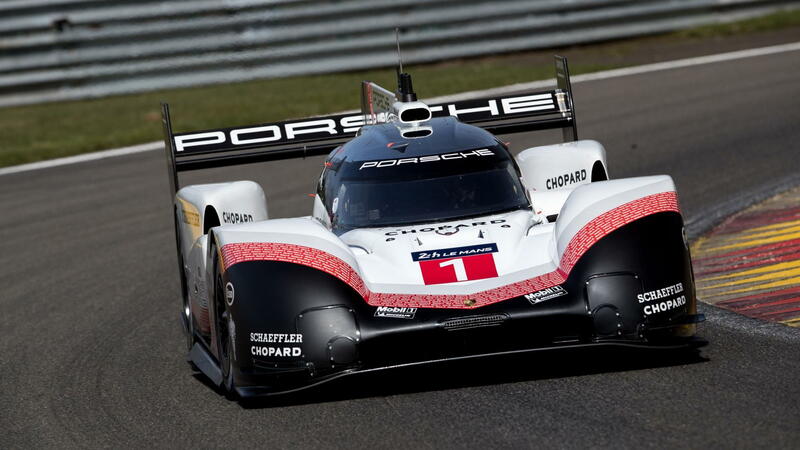 Aero was upgraded significantly too, with the 919 Evo making 53 percent more downforce than before. That's more downforce than an F1 car, by the way. Weight was reduced by 86 pounds, so the 919 Evo weighs just under a ton with Jani on board. The suspension was upgraded to handle all the extra downforce, and Michelin provided a new tire too. On the track, Jani hit a top speed of 216.8 mph and averaged 152.6 mph. His time of 1:41.7 was an astonishing 12 seconds faster than the 919's pole-setting lap at the circuit last year. And the best part? Porsche isn't done. It's going to do a demo lap on the Nürburgring Nordshliefe next month. We don't know what Porsche has planned, but perhaps it has a certain 6:11.13 lap set in 1983 in its sights. OK. This is just BONKERS. 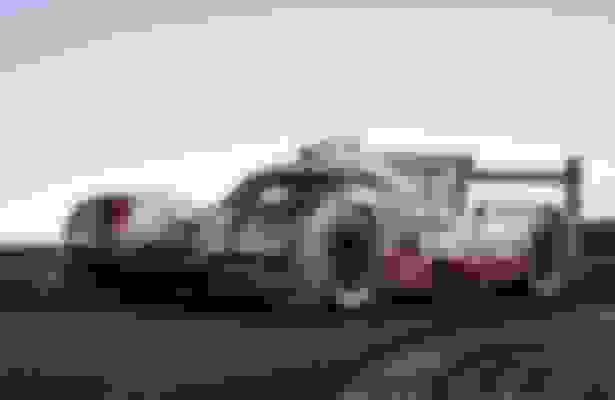 That said, it's a bespoke track-weapon specifically modified ("freed from FIA WEC regs") in order to smash lap records. 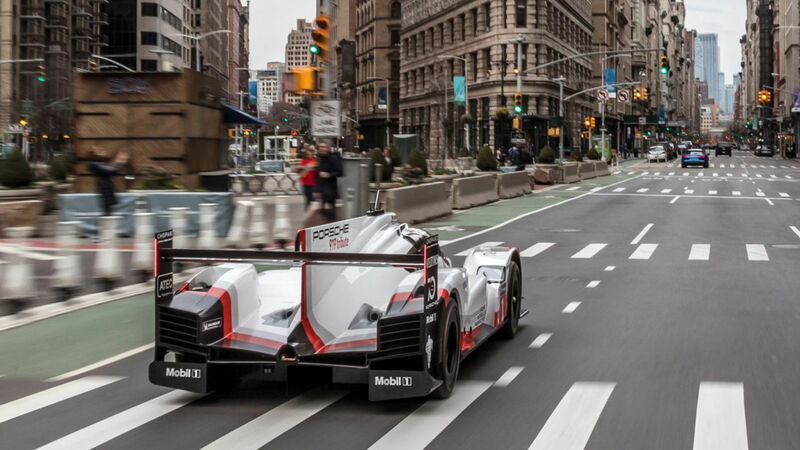 IOW, I'm sure that if you gave an F1 constructor the same latitude (freedom from FIA racing regs), they could build an open-wheel single-seater that would be capable of blowing the 919 Evo out of the water. 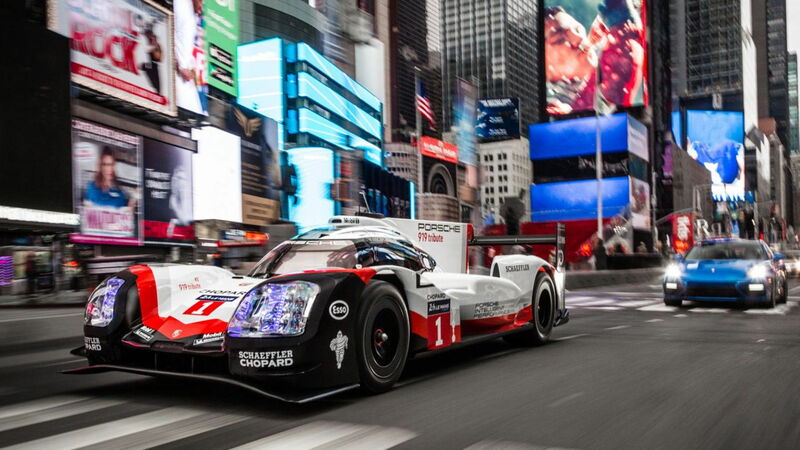 Still, what Porsche has achieved is pretty impressive. Last edited by nanxun; 04-09-2018 at 02:21 PM. Thanks for posting the pix. I didn’t have a chance to link them. This car was built solely to break track records. 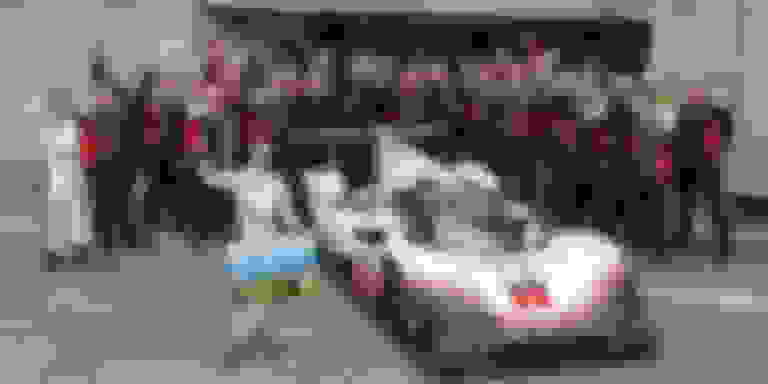 Remember that modern F1 cars and WEC cars no longer have qualifying specials, and their engines need to last multiple events. In terms of car performance, prototype sports cars are inherently superior to F1 cars because the tires are covered. For an F1 car, the biggest problem for the aerodynamicist is with how to get air flow around the tires efficiently. If all else are equal between the two formulaes (engine, chassis, tires,...), a prototype will be much faster than an F1 car because of the superior aerodynamics. Historically, F1 cars were faster because prototypes are built for endurance while F1 was built for sprints. ttribe is referring to a similar photo shoot in London. Yeah, would have loved to see this in NYC if it was advertised. I think they didn't want any gawkers though. The Porsche 919 Hybrid Evo has broken the outright lap record at the Nurburgring Nordschleife with a time of 5:19.546. 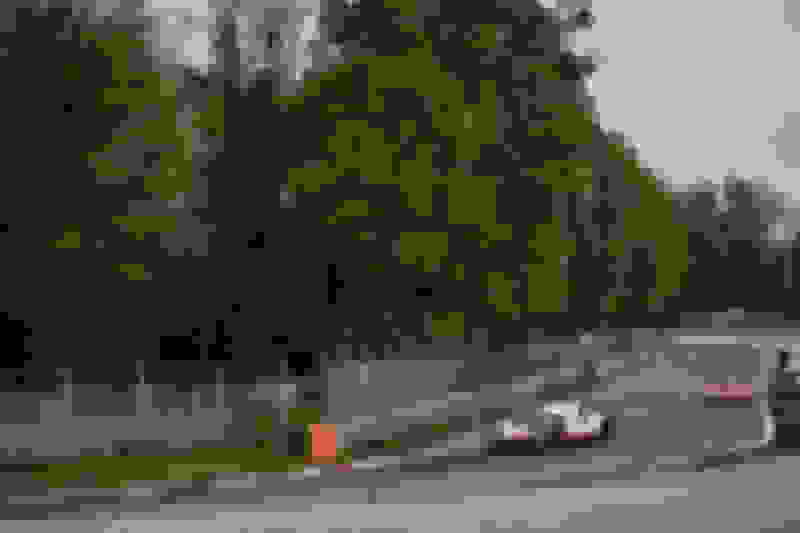 Timo Bernhard’s run in the highly modified version of the manufacturer’s Le Mans-winning LMP1 racer obliterated the previous best of 6:11.13, set by Stefan Bellof in qualifying for the 1983 Nurburgring 1000km. Almost a minute faster, on a course that's actually ~10ft longer. And he stayed up on the asphalt (as opposed to down in the tarmac "bowl") through the Carousel .... crazy. Last edited by nanxun; 06-29-2018 at 10:05 AM. Probably faster & easier on the car to not drop into the Karussell. 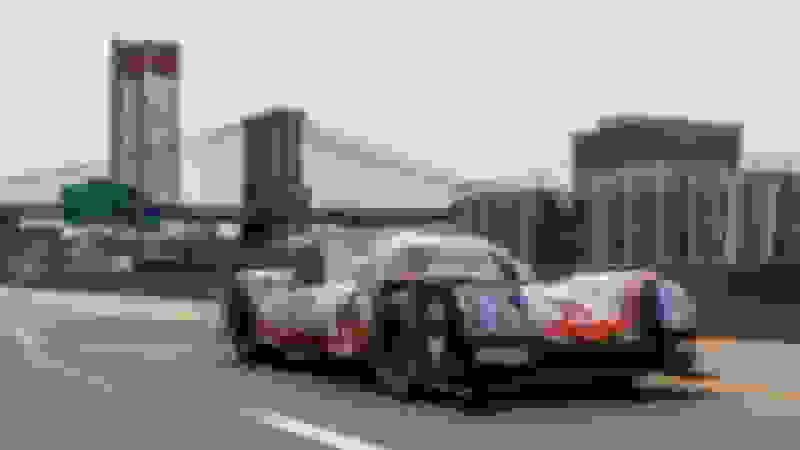 Red Bull team principal Christian Horner says Porsche’s record Nurburgring Nordschleife lap time is unlikely to be beaten by a Formula 1 car. 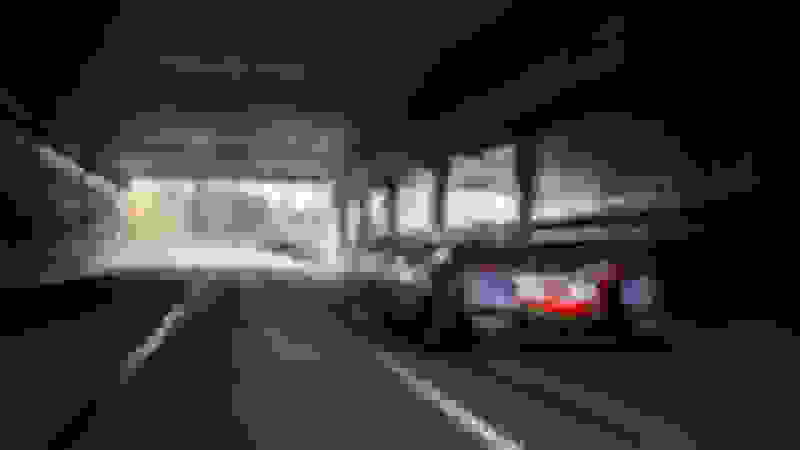 However he told RaceFans the track version of the Valkyrie hypercar it is developing in conjunction with Aston Martin will be “a contender” for the outright record.